Yesterday was the first day of spring and, as it so happens, the last day of our spring break this year. We took a few extra days off after our annual week of vacation because my sister's family drove out from California to spend some time with us. Being together is always such a treat, especially for our daughters. I had all five of them in my minivan yesterday afternoon as we went on a special "cousins shopping trip," and it was so much fun. It's amazing to me to see how quickly they're all growing up into beautiful young women. As I was driving my girls home last night, we were listening to the soundtrack for the Curious George movie which was such a big hit with them so many summers ago when they were little. Just hearing the music took me instantly back to a dozen vivid memories -- seeing them scamper around the vegetable garden with their Daddy, helping them swim in their little plastic pool on the patio in the afternoons, watching cartoons with them in the evening as the smell of warm grapes drifted in the back door from the arbor outside, tucking them and all their stuffed friends into their toddler beds at night. Back then I would clean up after dinner and then get my machine out on the dining room table so that I could get in a little bit of sewing before bedtime. It was such a challenge back then to get any time to sew, and I treasured every chance I had to do it. So much of what I made was for the girls -- play quilts, floor pillows, book bags. All of it was well used and well loved. I was cleaning out our guest room the other day and found a whole stack of those little quilts in a wire basket, too small for my growing girls now but full of memories from when they were just the right size. I can't escape the fact that, in many ways, I was having a lot more fun with my sewing back then. It was always exciting to look for the next project I had never tried. Fabric collections were fewer, and fabric designers were like rock stars. I remember counting the days until the release of Nursery Versery by Heather Ross (where the mouse print from her current Trixie line made it's debut), Hello Pilgrim by Lizzy House, and anything from Melody Miller's early Ruby Star years. 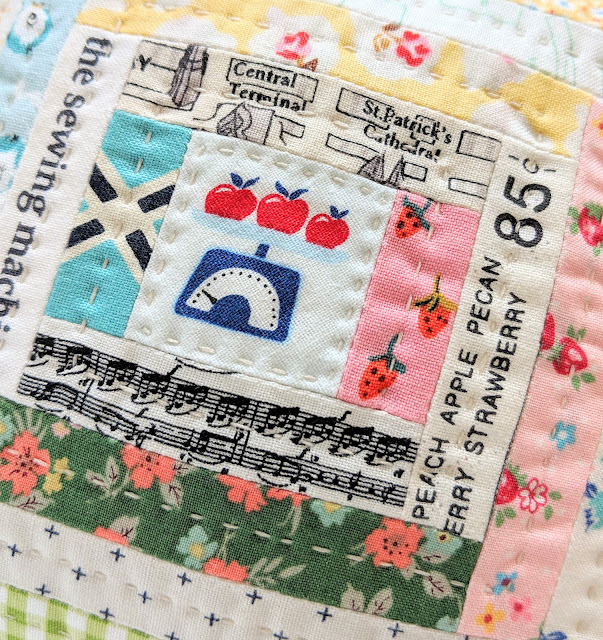 Blogs were still newish, and there were so many sew alongs and swaps back then, all of them administered by chatty, happy Flickr groups. 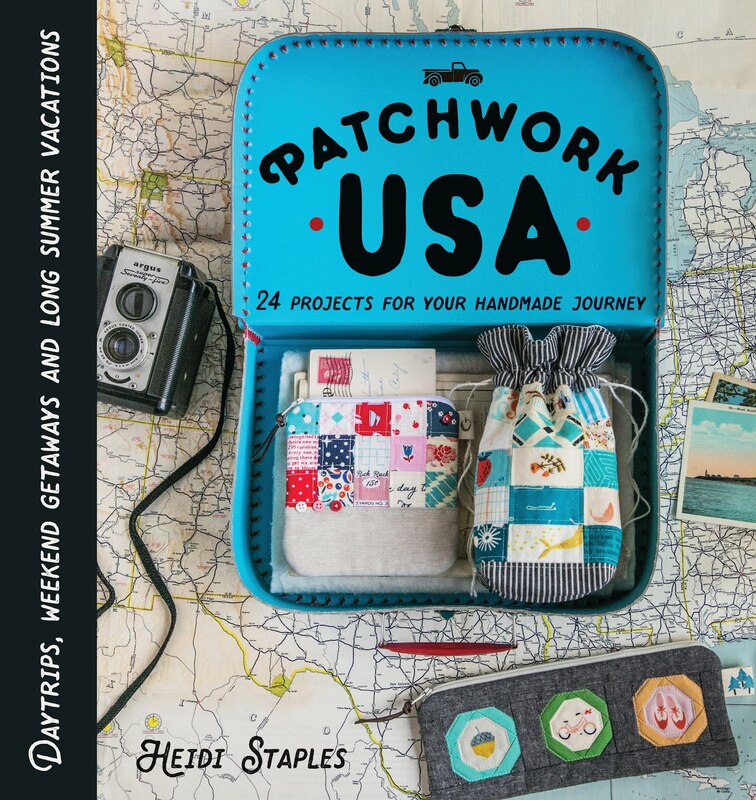 I remember large groups of us sewing through entire books like Zakka Style by Rashida Coleman-Hale and Patchwork, Please! by Ayumi Takahashi. (Does anybody even do that sort of thing anymore? Do any of us have the time to do it??) Working through these books in online communities wasn't just about doing what was popular, but it was also about learning new things with other people who enjoyed it as much as you did. It wasn't that long ago, really, but those days seem so innocent and naive to me now. Somewhere along the line things changed...or maybe I changed. It's the tradeoff you make with turning your hobby into a business. You get so many opportunities to do amazing things, but that inevitably leads to more deadlines and less time to play. Trying to balance your creative work time with your creative play time, and then figuring out how to balance all of that with your family time -- it's a tightrope I walk every day. Even now as I write this post, I'm trying to alternate between typing and being a guest at my youngest daughter's imaginary diner, where she's serving cardboard blueberry pancakes and rubber chicken. Yes, I'm running short on time this afternoon. Yes, I'd like to get this up on the blog before I have to take the car to the dealer for maintenance. But how many more years will she be willing to put on an apron and serve me plastic food? Some things are too important to wait. I hear you, there's less play and the increased commercial focus of the various platforms- especially IG I challenging making for fun, enjoying creativity for the sake of itself and not a product. Looking forward to the Sunny Day QAL! Awww, Heidi, I know exact what you mean. I chose to pull back before making the choice to turn a hobby into a business because of the same reasons you stated and I was seeing the over-saturation if the market. I just saw a great quote that said decide what you want and work on it every day. Sounds like you want to find the joy again, so make that priority #1!! Best wishes to you!! Thanks for your sweet and honest post. I am a retired teacher and Grandma. I am blessed - I get to sew just for the fun of it! I so hear you. Please know that what you share brings joy to others, but you must feel the joy yourself or it will fall flat. 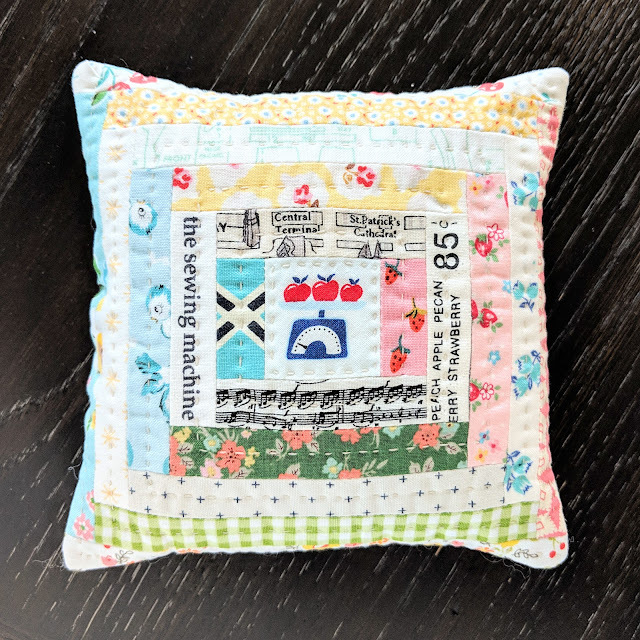 I can't wait to sew along with you in the Sunny Day Log Cabin Sew Along! Keep playing with your kids and your fabric! You have your priorities in just the right order! I thought about making this my business, but I didn't want to let go of the joy of making. I am, however, doing my first craft fair in a few weeks. I remember all those older, wonderful lines of fabric too. Seems like there is way too much now a days. I still have, as a treasured part of my collection, a small pillow you sent me when I was undergoing cancer treatment about 5 years ago. It is still a favorite. Excellent post! I have the same impressions as you about the way it used to be. 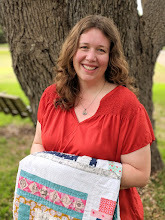 I’ve met one of my best quilty friends in the world through blogging and the Zakka Style sew along. I’m wistful that we can’t return to that online atmosphere but you’re right...we can still have fun. Someone should tell those fabric designers to chill and slow it all down! Heidi, you express yourself so well with words. That's a talent in itself. I raised three girls and a boy who are all beautiful adults and out of the house, now. I remember how I could sew something when the need (or desire) arose and still found time to be present as a mother. 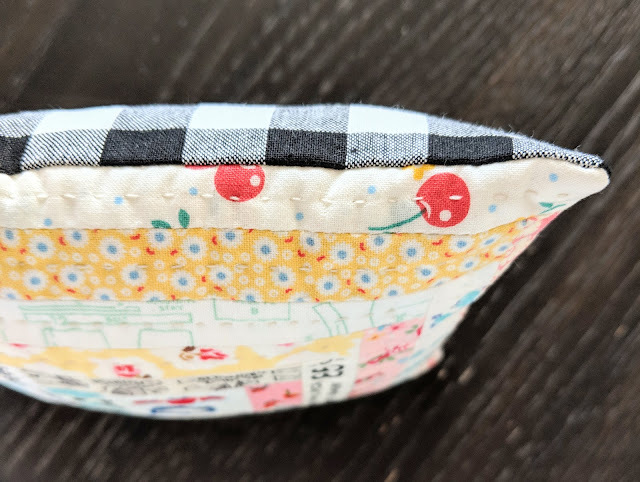 Now, I'm often working (sewing) on a deadline and trying to fit in fun projects just for me. I have two granddaughters and when they visit, everything else gets put on hold. I'm keenly aware of how fleeting that plastic pizza being served to me is. It sounds like you have a lot to juggle, but your priorities are right where they need to be. Fitting in some fun sewing is good for the creative soul and makes for a happy heart - the world needs more of those!